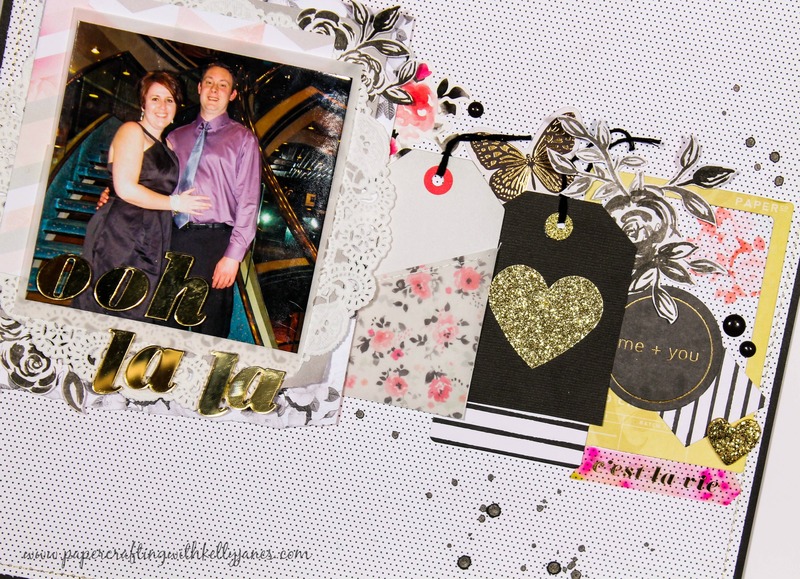 Today the layout I’m sharing is from our 2012 cruise and I used a fun mix of papers and embellishments! I’m starting with a small polka dot print pattern paper from the Pink Paislee-C’est La Vie Collection. Then I grabbed a couple more pattern papers from the same Pink Paislee C’est la vie collection, CTMH Whisper Cardstock, a doily, and a layer of vellum for my photo mat. I also fussy cut a few flowers from a pattern paper from the Maggie Holmes-Shine Collection and tucked them under my photo cluster. The photo cluster is positioned on the left side of the layout and I added a large cluster of embellishments to the right of the photo. 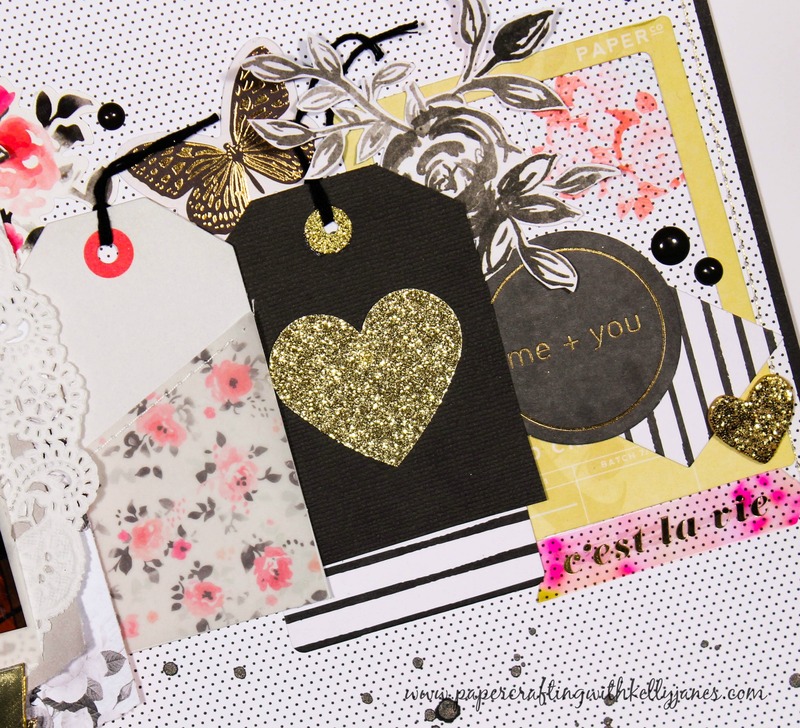 The embellishment cluster come from a wide variety of paper collections including the Pink Paislee-C’est La Vie ephemera pack, tags from the Crate Paper-Hello Love Collection, stickers from the My Mind’s Eye-My Story Sticker Sheet. 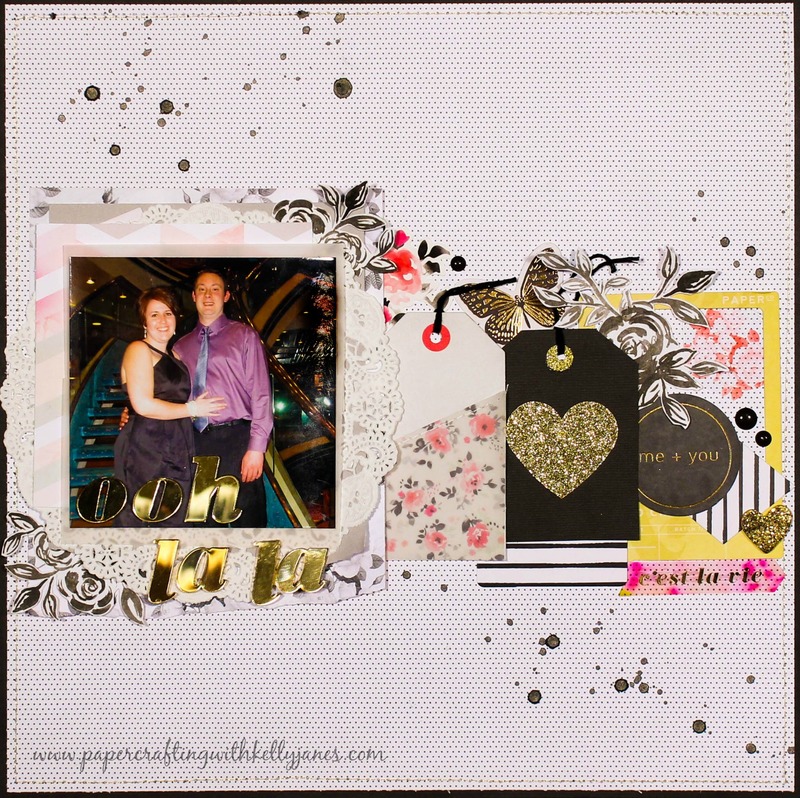 The title for the layout are gold mirror words from the C’est La Vie Collection also! I added gold and white stitching around the polka dot base paper and matted it onto a piece of CTMH Black Cardstock. I added a few Simple Stories-Carpe Diem enamel dots and Black Heidi Swapp Color Shine….sometimes that color shine has a mind of it’s own! Ha! My splattering got a little out of control and at first I was a little disappointed with how it fell on the page. I kept adding more trying to correct it and I think that may have been a mistake, but eh! The layout is done! 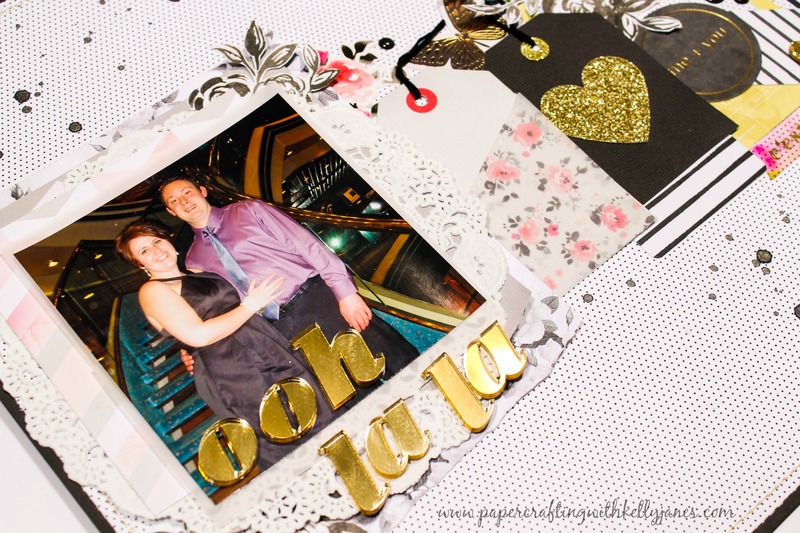 I’m planning on typing all of my journaling for our cruise album so I will add that a bit later! 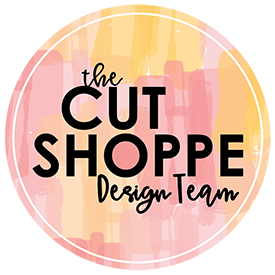 I have another process video to share with this layout! As I had mentioned in a previous post, my camera had stopped working and I just ordered a new! Well I’m still toying with the settings so I apologize that the colors are not super crisp on this video! It’s still a work in progress! !